Be prepared to celebrate St. Patty's Day in style. 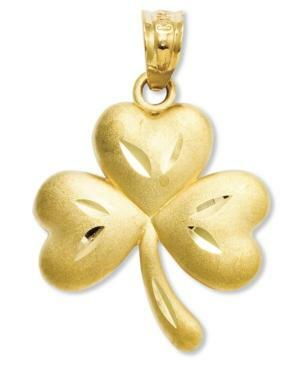 This adorable shamrock charm glows in 14k gold. Chain not included. Approximate drop length: 1 inch. Approximate drop width: 5/8 inch.